We understand that our customers from the religious market need updated solutions for their ever-changing requirements. 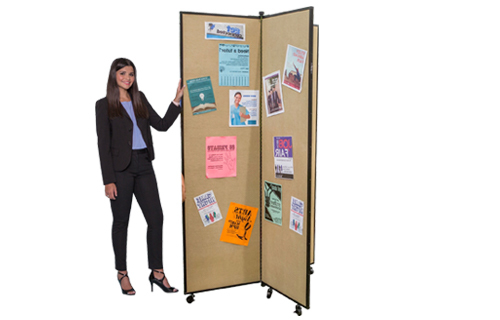 In order to provide a solution that would accommodate them during a bible study, Sunday School class, during confessionals, or in any other situation, we have designed room dividers to serve versatile purposes. Our portable separators will create a peaceful corner wherever you need one, in a matter of seconds. Not only that – they are available in a range of colors, heights, lengths and designs, as such being appropriate for any space, regardless of the size or shape of the room. Check out the photographs from other religious institutions that have already had the chance to enjoy the versatility of the Screenflex portable partitions. How can Screenflex room dividers help the religious market?